San Diego might turn into a hotbed of activity if it hasn’t already. With a set of market trends taking root, San Diego commercial real estate is set to explode. Looking For an Office in San Diego? It’s a case of supply and demand for the Californian city. The number of jobs there has long since started to increase, and the same goes for the income tied to them. Even so, there aren’t enough buildings to hold the influx of new, well-off workers. A sore lack of San Diego office space is a real problem, but it’s one that provides opportunities to eager investors. By building projects, they can cater to the demand of workers in dire need of a good work place . To be fair, San Diego isn’t completely unique by offering up something for investors. The commercial real estate market is doing surprisingly well throughout the United States, thanks to the spread of low interest rates and the efforts of excited investors. Still, San Diego commercial real estate has become a major talking point despite going under the radar for so long beforehand. Technology companies are the ones partly responsible for the economic upturn — and of course, San Diego has plenty of them in its borders. Torrey Pines, Miramar, and Sorrento Mesa all play host to companies old and new, with opportunities aplenty for biotech firms. Even if that’s true, competition is still stiff in San Diego. Commercial buildings are in high demand, and in the eyes of some investors, there’s been no better time to try and provide. It may not have the sprawl or glamour of a city like New York, but San Diego has some accolades to call its own. 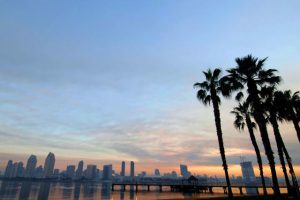 While the Californian city is far from rural, it still ranks fourth in the percentage of suburban offices in the nation. A full 85% of San Diego office space resides well away from the urban center, which claims the remaining 15%. If investors and the economy have their way, then that fact might change by 2018 and beyond. In the past two years, the industrial space has seen as much demand as the office space. Manufacturers and warehouses have respectively had vacancy rates of 6.6% and 6.7%. For comparison’s sake, that’s less than half of the vacancy rates of the in-demand office rates of the city; the data suggests that it hovered around 14.4% back in 2014. It’s a safe bet that commercial real estate in general is going to stay a hot topic among investors. Of course, buyers and sellers are getting in on the action, too. As long as the low interest rates remain, buyers are going to be eager to dish out their money upfront. That would give sellers a huge amount of power, since they could decide the terms of any given deal as long as the price is right. Even if investors are willing and able to buy, San Diego still won’t make every deal a snap. The commercial real estate market may invite investments, but those who venture into the city still have to stay wary of other price tags. Offices can come saddled with high rent, and the cost of living is another sticking point. Even if business starts to boom in the city, it’s not enough to wipe away the fact that San Diego’s lacking on the transportation front. Without a lot of international flights at the airport or a nearby seaport, the technology companies that want to set up shop might reconsider beforehand. Getting something out of San Diego’s real estate may mean investors will have to jump some serious hurdles, but it’s a far cry from impossible. If it really was too much to handle, then the fight for good office space would have ended before it even started. With office properties’ asking price per square foot well above where it stood in years past, real estate gurus have long since realized that there’s money to be made. As long as San Diego and the changing economy keep providing golden opportunities, then buyers, sellers, investors, and everyone in between will have something to make the most of. Maybe someday, they’ll all help take the Californian city to the top of the charts.